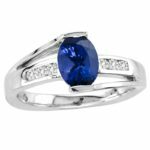 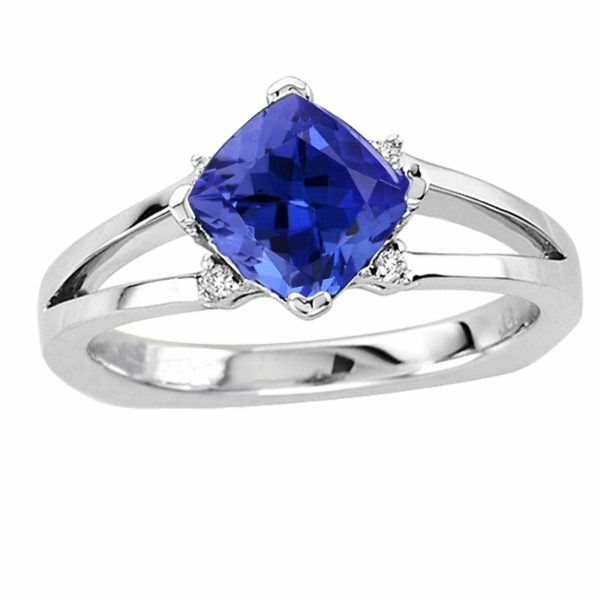 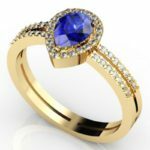 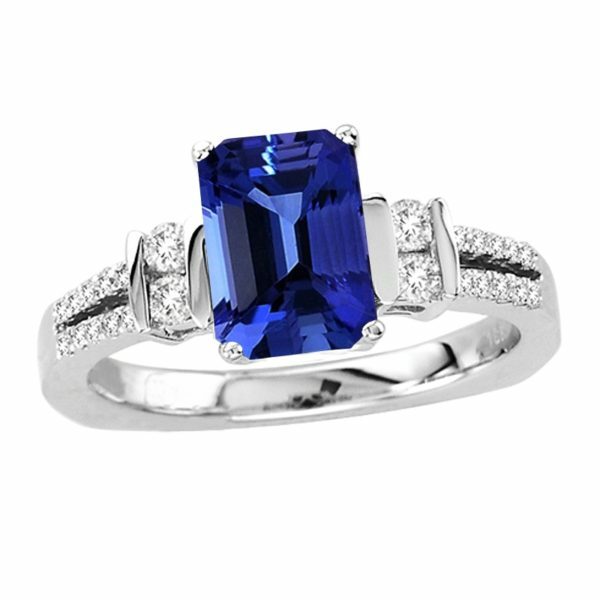 This magnificent ring consists a round cut tanzanite of around 0.30 carats enclosed with 10 diamonds, some encrusted on the band made of white gold. 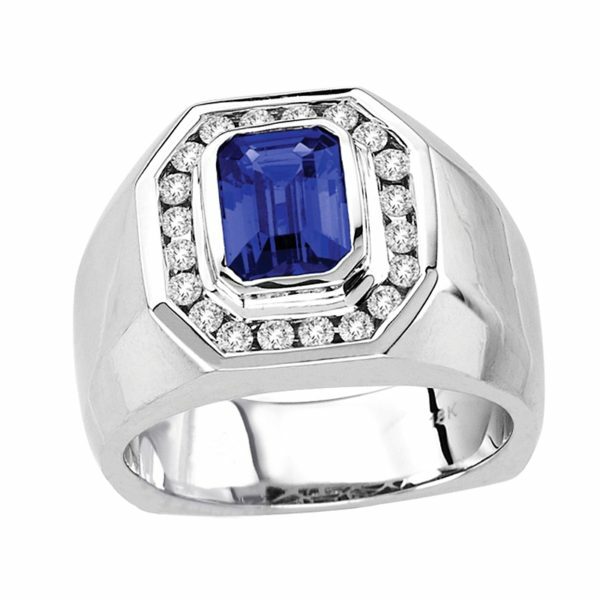 This ring can be the perfect choice for the engagement ceremony to the brides who likes to stay in vogue. 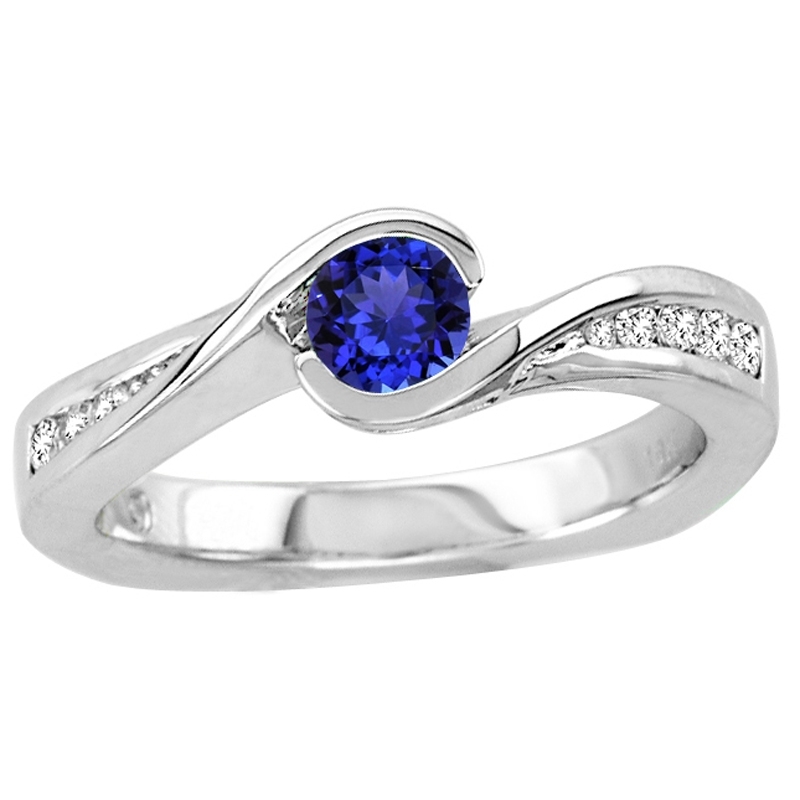 The design of the ring is timeless and can go along well with any theme of the wedding.